Otto August Kuler's beautifully streamlined Leigh Valley Locomotive. Otto August Kuhler was an American designer, one of the best known industrial designers of the American railroads. His design for the Leigh Valley locomotive is spectacular when it comes to streamlining a locomotive. 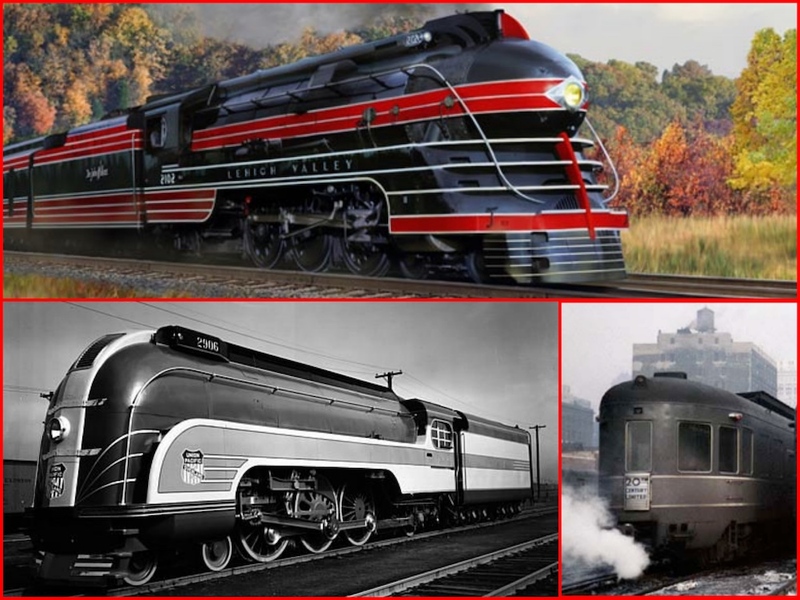 The 1930s and 1940s were unique when it came to modernizing trains. Leigh Valley locomotive; New York Central Observation Car; Union Pacific Modernized Steam Engine. According to Trains magazine, he stream-styled more locomotives and railroad cars than Cret, Dreyfuss, and Loewy combined. His extensive concepts for the modernization of the American railroads have repercussions onto the railways worldwide until today. In addition, he was a prolific artist of industrial aesthetics and of the American West in general. 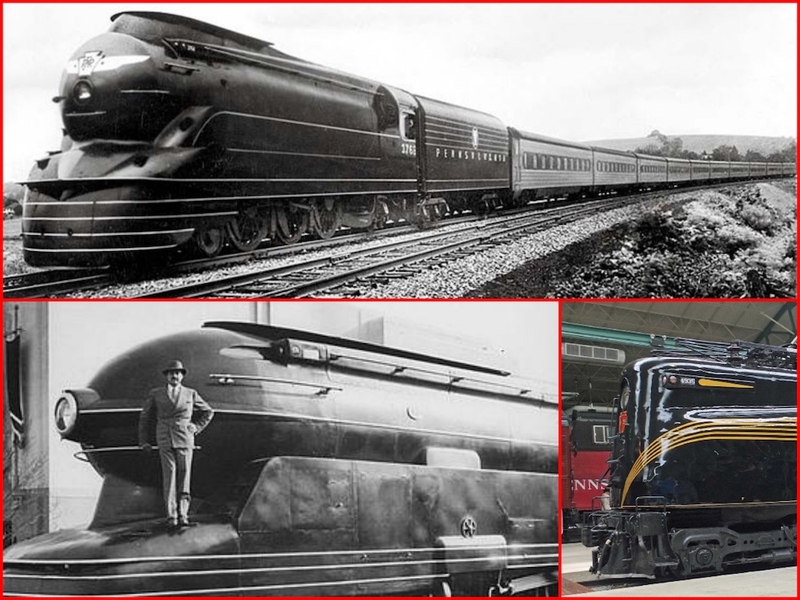 The streamliner revolution had been underway within the railroad industry since the 1934 debuting of the Burlington’s Pioneer Zephyr and the Union Pacific’s M-10000, which were both introduced to the public that spring. At the time the PRR took a conservative approach to the new fad, primarily because it was unproven and the railroad was naturally slow to adopt new, contemporary ideas (which was also true for most of the industry, in general). However, with the New York Central announcing it would be upgrading its 20th Century Limited to full streamliner status the Pennsylvania could certainly not let its main rival have the upper hand. As such, the PRR made plans to not only update its flagship, the Broadway Limited but also three other long distance trains. Henry Dreyfuss was an American industrial designer. Dreyfuss and his firm received worldwide recognition for numerous designs for a wide spectrum of consumer and commercial products, including streamlined locomotives for the New York Central along with the famed 20th Century Limited and the Mercury. 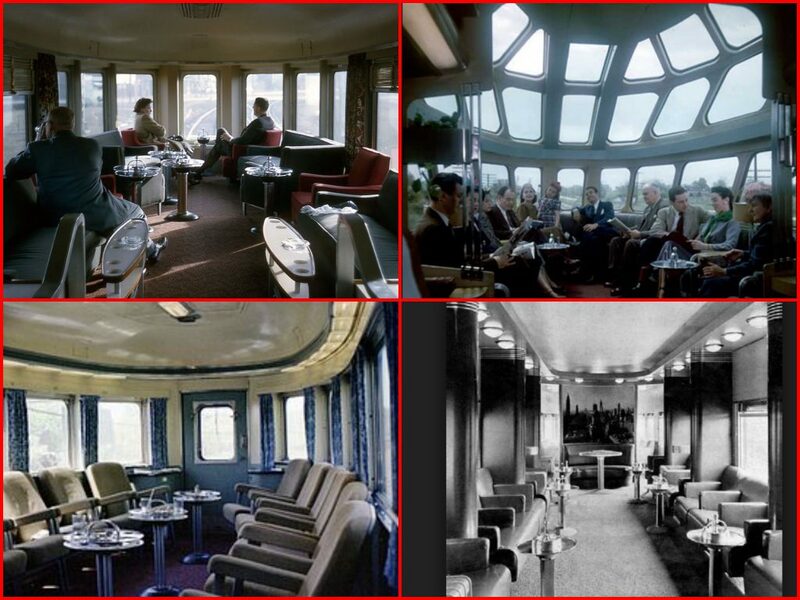 Dreyfuss designed The Mercury with Kim Knovac in the 20rh Century Ltd dining car and the observation car. Raymond Loewy was a Franco–American industrial designer who achieved fame for the magnitude of his design efforts across a variety of industries. He was recognized for this by Time magazine and featured on its cover on October 31, 1949. 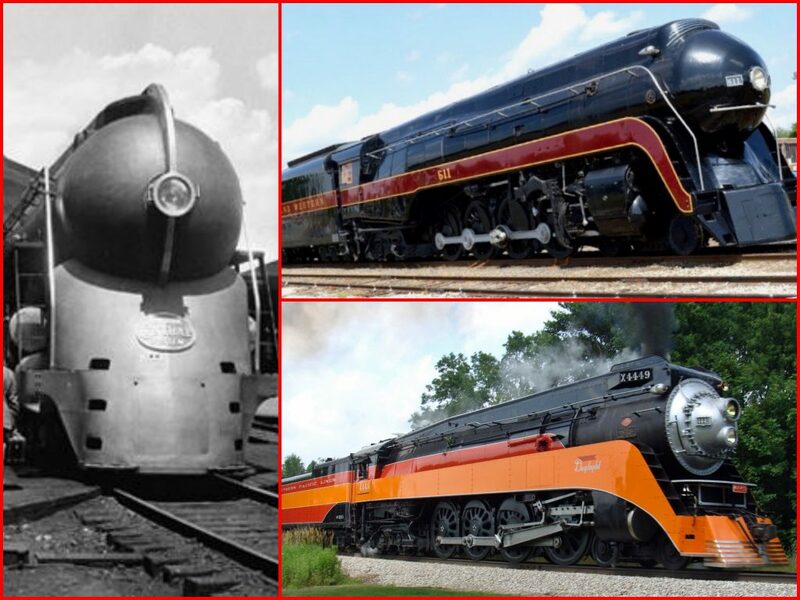 Loewy designed steam, electric and diesel locomotives for the Pennsylvania Railway. He also designed the color schemes and interiors for the Northern Pacific Railway’s North Coast Limited. Streamlined and modern Observation Cars. 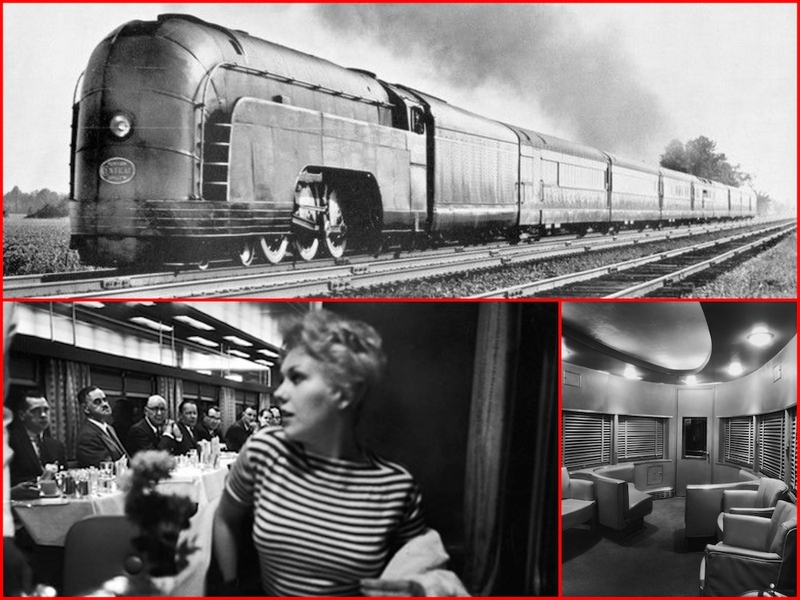 The “Fleet of Modernism” was simply a marketing ploy by the Pennsylvania Railroad for its brand new streamliners which debuted in the late 1930s and initially included four different trains. 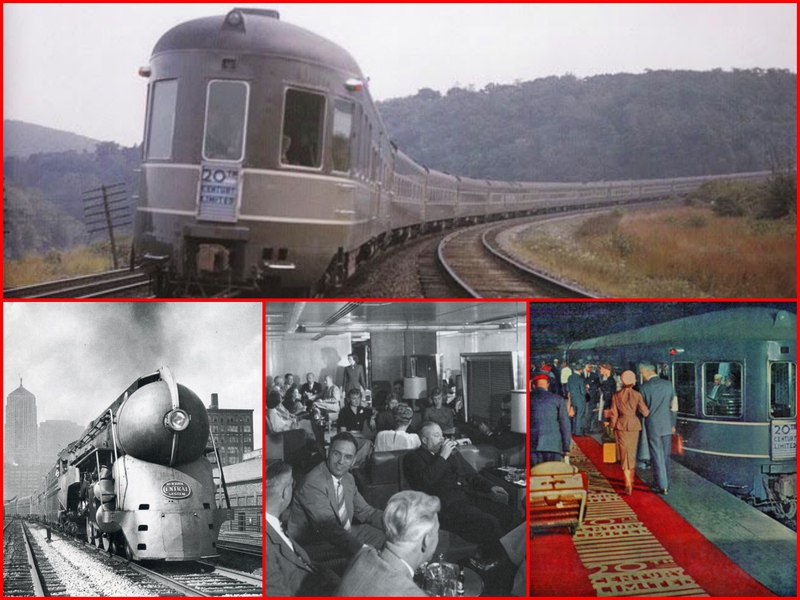 The idea of describing its new trains in such a way was not only to distinguish itself from rival New York Central (which had its own named streamliners, the “Great Steel Fleet”) but also to let the traveling public and its loyal riders about the upgraded features. 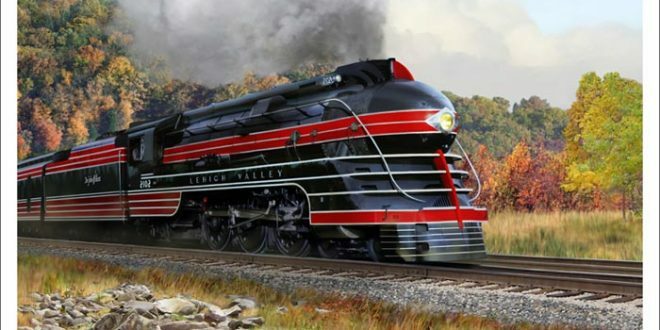 Originally, these trains only included the PRR’s long distance runs between the East Coast and Midwest connecting cities such as Chicago and St. Louis to Washington, D.C., Philadelphia, and of course New York. By the early 1940s the Pennsy had expanded the fleet although by just a decade later it began discontinuing them as traffic declined.